Our beautiful timber frame clubhouse includes an “open to the public” full service licensed family restaurant and banquet facilities with indoor and outdoor seating able to accommodate any size tournament, wedding or special event. Shuswap National is a ﬁrst class facility with an inviting and casual feel. The National Kitchen & Patio features a variety of dining options, from a light breakfast or lunch to upscale evening dining. Indoors at The National Kitchen & Patio is the perfect setting for casual Dining and to relax after your round of golf. 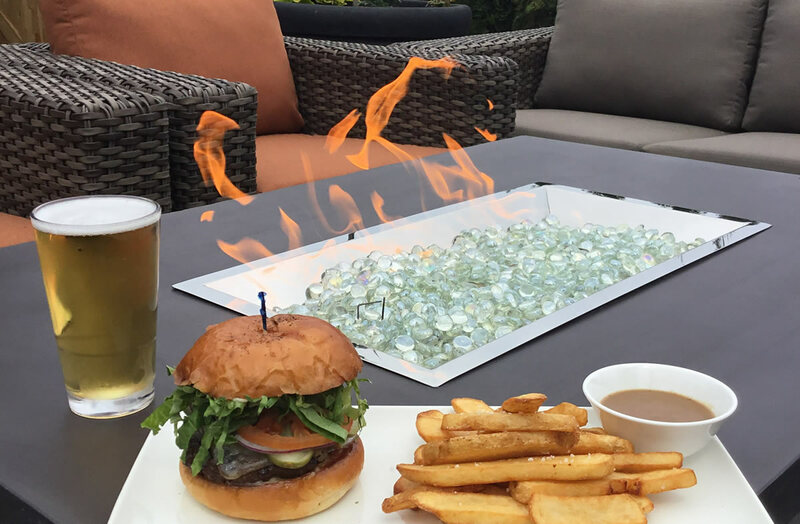 Outdoors on the patio of The National Kitchen & Patio is casual and relaxing, providing the ideal finish to a day of golf. Let Shuswap National cater your Group, Meeting or Golf Event.